PAX Prime has once again descended upon Seattle, which means that thousands of gamers have packed themselves, shoulder to shoulder, into the Washington State Convention Center. 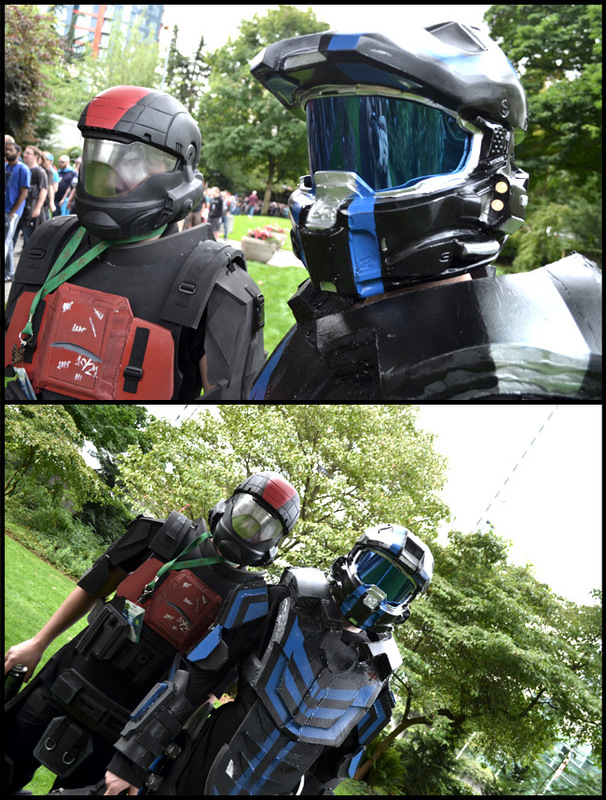 Most of the attendees aren't exactly clever with their wardrobe choices (video game-branded T-shirts are the unofficial uniform), but an elite few have sculpted their outfits from molded plastic, latex, and foam. And those people deserve a little recognition. This only represents a fraction of the cosplay that we'll see at this year's Penny Arcade Expo, but we're already seeing some impressive getups. But, don't take my word for it. Check it out. "I've been playing Halo since I was in 3rd grade, and I wanted to put myself into the universe as much as I could," Brandon told me. "So, I incorporated my own design, as if I existed in the story." Don't forget to follow Tayten on Twitter.